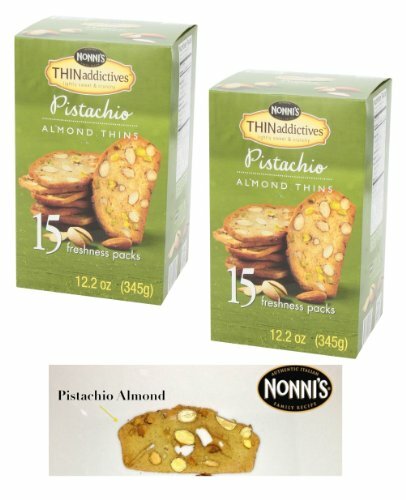 Thin Addictives, Thinaddictives Lightly Sweet & Crunchy Pistachio Almond Thins of 12.2 Oz Box- 2 Pack of 15 Freshness Packs ( 30 Packs Total ) * * WE PROVIDE AND GUARANTEE FAST SHIPPING . THANK YOU FOR SHOPPING WITH US. If you have any questions about this product by nonni,s thin addictives, contact us by completing and submitting the form below. If you are looking for a specif part number, please include it with your message.